A pun, a world, an inflammation, the blog of Kriota Willberg. Welcome to my Welt! If you're looking for more information about the Visualizing and Drawing Anatomy class, there's a paragraph below with a link for more info. But I will be writing an in-depth blogpost for May 17th that will give more details. If I ever whine about being bored in your presence you have my permission to tell me to shut up and remind me of this spring. The fun doesn't stop until June 28th! Me at TCAF in 2014 presenting some anatomy about muscle strain. The Toronto Comic Arts Festival (TCAF) has invited me to participate in their Word Balloon Academy Professional Clinic on Friday May 13th at the Bloor Yorkville Marriott. I will be available to answer questions about injury prevention and good drawing habits and will have copies of my mini comics (No) Pain! and First Aid for Drawing Injuries for sale. 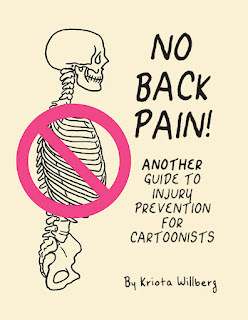 I will also present a self care workshop on back pain prevention on Saturday May 14th in the early afternoon, AND will be reading from some of my less educational comics for a Carousel Slide Show on Sunday the 15th late afternoon, details TBA May 11ish. TCAF is still working on their schedule. Can’t make it to Toronto but still want to buy a copy of one of my mini comics? Click on the title and you will be takes to Birdcage Bottom Book "shop" page. Just when you thought there was nothing left to injure! Yes, there is a third volume of injury prevention and self care in the works! No Back Pain! 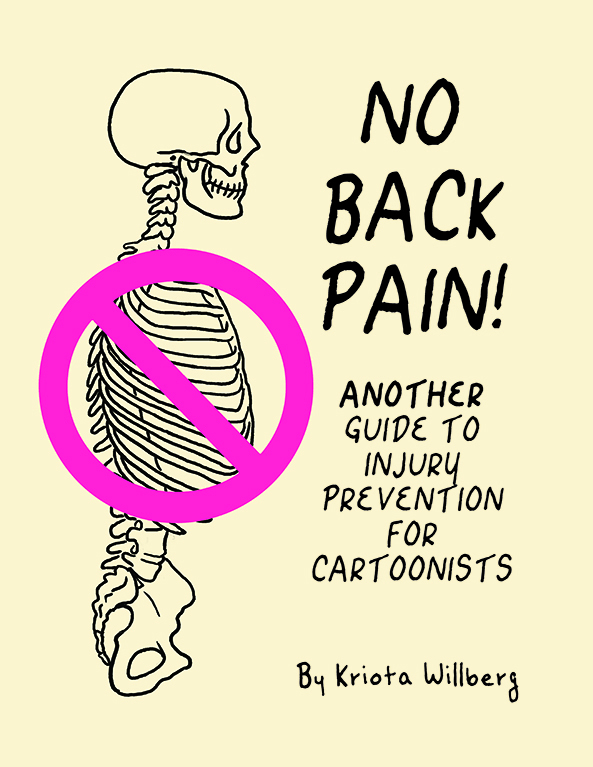 Another Guide to Injury Prevention for Cartoonists focuses on... you guessed it - back pain! This mini comic explains the anatomy behind three common causes of back pain: muscle spasm, muscle tear, and disk herniation. It also gives some guidelines for self care and injury prevention, and presents breathing and conditioning exercises for relaxing and strengthening the core muscles of the trunk. (As usual, if you use this book instead of medical advice you are out of your mind.) No Back Pain! is still in-progress but I will have excerpted draft copies for preview at TCAF. The past meets the present on June 7! 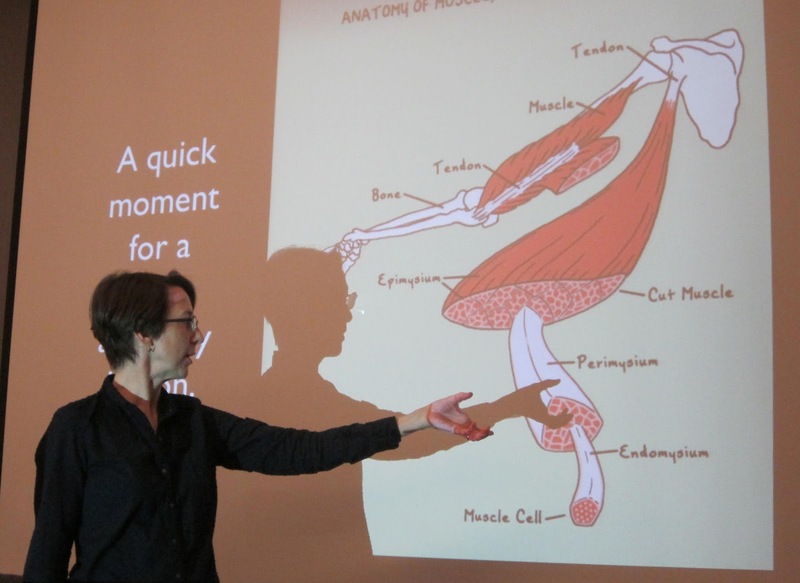 I am very excited to announce that I am partnering with the New York Academy of Medicine to offer an anatomy for artists four week workshop on Monday evenings June 6, 13, 20, and 27. As per usual I will be drawing the musculoskeletal system onto live models, but the most exciting part is that each class starts with an exploration of body parts and other systems in the Academy’s Drs. Barry and Bobbi Coller Rare Book Reading Room! For registration and information you can visit the NYAM events page. And, as stated above, I will be posting an in-depth description and sneak peak at some of the images we will be working with at NYAM on May 17th. Kriota Willberg uses comics, needlework, historical studies, bioethics, and her experiences from her career as a massage therapist and health science educator to explore body/science narratives. Combining this history with her background as an artist and educator, she has been creating comics and teaching artists about injury prevention through panels, workshops, and a series of minicomics, now combined with additional materials into Draw Stronger, to be published by Uncivilized Books in April 2018. Her other comics appear in: 4PANEL, SubCultures, and Awsome Possum 3, Comics 4 Choice, Strumpet 5; and the up-coming Graphic Canon; as well as the journals Intima and Broken Pencil. Willberg is the inaugural Artist In Residence at the New York Academy of Medicine Library. 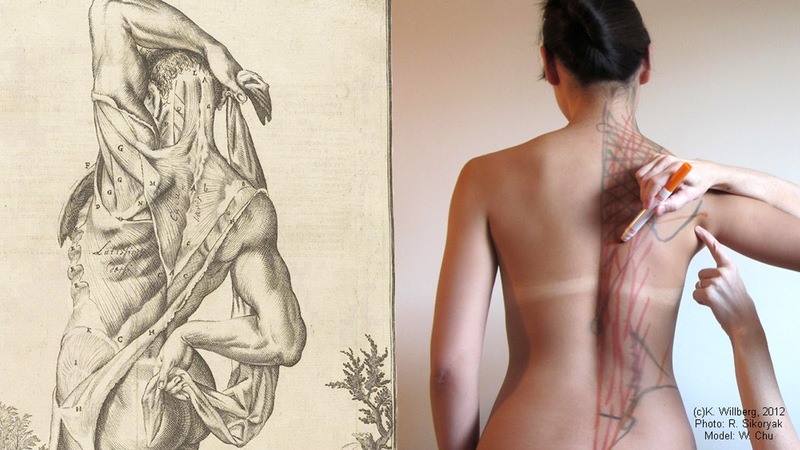 She also teaches anatomy for artists, and embroidery classes (not at the same time.) Opinions (and "facts") hers alone. Contact her at Kriota(at)earthlink(dot)net.